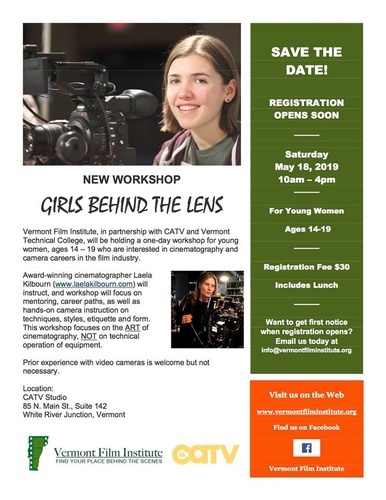 CATV & the VT Film Institute are co-sponsoring this inspirational one day seminar "Girls Behind the Lens.. A Saturday of cool stuff to learn. Expand your daughter's horizons! Girls Behind the Lens. For young women ages 14-19.